30 militants stormed ATO positions near Mariyinka. Over the past day, Russian occupation troops 56 times opened fire on the positions of ATO forces. 33 shelling were reported in the Donetsk sector, 21 in Mariupol and two in the Luhansk sector. Outside Donetsk's Avdiyivka, the enemy frequently used 82-mm mortars, grenade launchers of various systems, anti-aircraft guns, heavy machine guns and small arms. Also, the opposite party used 82-mm mortars in Troyitske and Mayorske, grenade launchers - in Zaitseve and Novhorodske, and heavy machine guns near Luhanske, the headquarters of ATO reported on 29 July. In the Mariupol sector, at about 21.00 last day, about 30 enemy saboteurs, using grenade launchers and small arms, attempted to seize the ATO positions near Mariyinka. ATO units returned fire and forced the enemy to retreat. No casualties among Ukrainian troops was reported. Also in Mariyinka, Vodyane and Krasnohorivka, Russian occupants shelled ATO troops from 82 mm mortars. 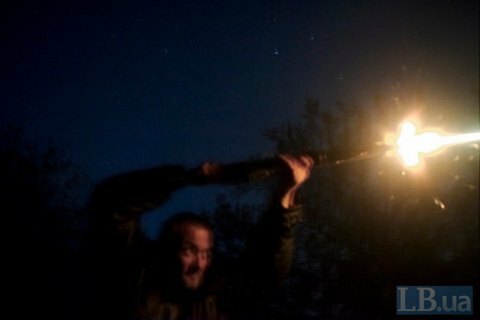 In the vicinities of the villages of Pavlopil, Shyrokyno and Hnutove they fired grenade launchers. Starohnativka and Lebedynske were attacked with the use of heavy machine guns. In Luhansk region, the enemy was firing grenade launchers at Lopaskine. One ATO serviceman in Donbas was killed and another wounded in the past day.